Beau Henderson of Johnson City went missing Saturday at Corpus Christi State Park. JOHNSON CITY, Texas — After a boy who went missing Saturday at Corpus Christi State Park was found dead this weekend, his hometown community gathered to honor his memory. When the news broke Sunday about 7-year-old Beau Henderson's death, the Johnson City community gathered at the little league baseball field where Beau liked to play. "We just wanted to share the support and love from our hometown during this time of tragedy," said Katie Puckett, who captured the tender moment on video. The San Patricio Sheriff's Department confirmed that Beau was found dead after being reported missing in Mathis. He was first reported missing around noon on Saturday. The sheriff's office conducted an active search in trying to find him. 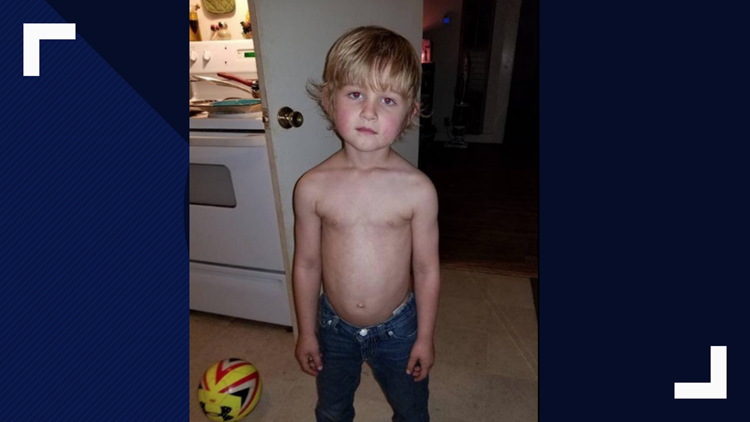 According to the Johnson City Police Department, Beau was a first-grader at LBJ Elementary. Also on Sunday, the Kleberg County Sheriff's Department confirmed the body of 18-year-old Je'sani Smith was found near Bob Hall Pier. after they were reported missing Thursday. Smith drowned on Whitecap Beach.